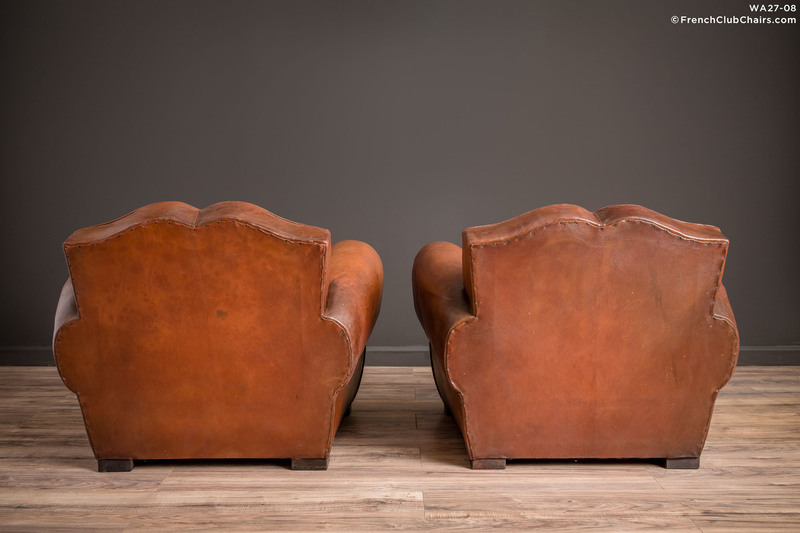 Mustache backed French club chairs are some of the most sought after chairs. Finding a pair in thgis overall condition is becoming increasingly rare. The cushions have been restored using sheephide from the Pyrenees and our color match is excellent. Comfortable classy chairs from the 1940s. measurements: depth-36", width-38", height-29", seat depth-22", seat width-18", seat height-19"